In the past few weeks and following several draws and losses, future in Madrid wasn't looking that bright anymore. But, as fate would have it, Real Madrid kicked off their latest La Liga fixture at home to Real Sociedad safe in the knowledge that their nearest challengers for the title had all dropped points. Sevilla were beaten 3-1 by Espanyol, while Barcelona and Atlético Madrid contrived to drop points at Real Betis and Alavés respectively. All of that has left Real Madrid in the exact same place as they were before their loss at Sevilla in mid-January. Barça and Sevilla are 4 points adrift, Atlético a further six points behind. Furthermore, Zinedine Zidane's team have a game in hand. The title — which would be only their second in nine years — should be theirs provided there aren't any major slip-ups. They have home fixtures against Barça, Sevilla, and Atléti in the second part of the season, which offers more title optimism since they haven't lost at home all season. 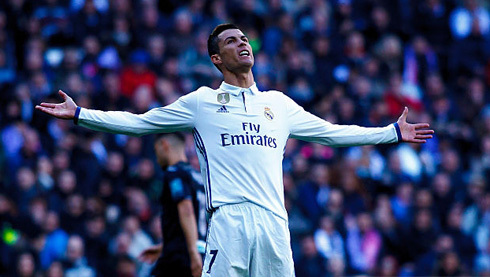 However, nothing is absolutely perfect and despite scoring goals fairly regularly, Cristiano Ronaldo has got himself on the end of the Bernabéu boo-boys of late. It all came about after the world's best player lost the ball against Real Sociedad, but Ronaldo served a timely reminder of what he brings to Real Madrid's attack by scoring a goal a few minutes later. Zidane, as well as Mateo Kovačić and Lucas Vázquez, played down Ronaldo's spat with the fans, instead emphasising their importance in helping the team scale new heights this season. «The crowd at the Bernabéu is the most demanding in the world and that's why playing for Real Madrid is at times so complicated», said Vázquez, after the Sociedad win. Ronaldo will agree on that, and as long as he keeps on scoring goals, he will keep on silencing his critics. He is on course to yet again top Real Madrid's scoring charts this season, which will be the eighth successive season of that occurrence. 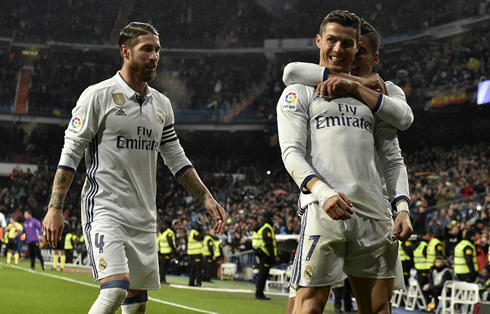 Such over-reliance on Ronaldo's goals has not always helped Los Blancos, judging by their barren haul of La Liga titles in the recent past, yet the air around the Bernabéu has changed this time around. Ronaldo has contributed only 25 percent to Madrid's league goals this term, as 16 other players have also found the net. That is in stark contrast to Barça, where Luis Suárez and Lionel Messi have combined to score 60 percent of the Blaugrana's league goals. Everything suggests Real Madrid are firing from all angles, and all of that despite an injury crisis. The returns of Gareth Bale, Luka Modrić, James Rodríguez, Marcelo, Pepe, and Dani Carvajal anytime between now and the business end of the season will stand Los Blancos in good stead to take those steps towards the title, and possibly defend their Champions League crown. The transfer embargo placed on the club in January's transfer window has gone almost unnoticed amid the positivity that engulfs Real Madrid at the moment. At a time when Zidane's men were ripe for a slide after surrendering their unbeaten run, they have resumed normal service while the chasing pack has stumbled. For years now, Real Madrid have spent lavishly on big name players, but in spite of that, the club have barely reached their collective zenith. Under Zidane, all signs point to the collective enhancement of the team, as Real Madrid have become more of a team than an assemblage of the world's highest-paid footballers. Vázquez, Marco Asensio, Álvaro Morata, and Nacho Fernández have all had regular minutes under Zidane's watch, as Real Madrid tread the path of "the whole greater than the sum of its parts" aphorism. 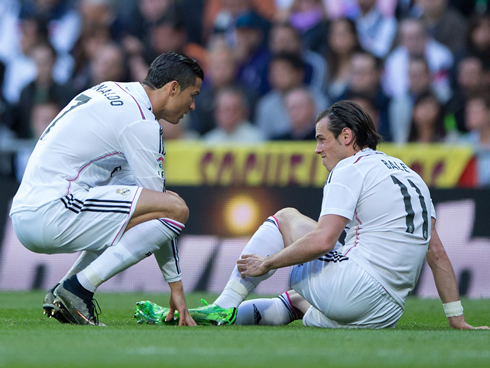 With Bale and Ronaldo both signing lucrative, long-term deals recently, there is little need for Real Madrid to dive into the summer transfer market in desperation. The urge to add another striker is there, but in Karim Benzema, Morata, Bale, and of course, Ronaldo, Real Madrid have enough firepower in their ranks. 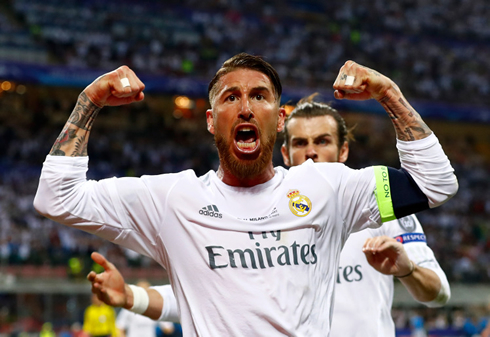 Real Madrid have been the epitome of a trophy-winning machine in European football since eternity. Under Zidane, they could become the model club of European football, one that is aped across borders. That quest for perfection starts with the Spanish league title this season, something that is well within Real Madrid's reach. Cristiano Ronaldo next game is a La Liga fixture, on February 5 of 2017 against Celta de Vigo. You can watch Juventus live stream, Celta de Vigo vs Real Madrid, Atletico Madrid vs Barcelona, Manchester United vs Hull City, Stoke City vs Everton, and West Ham vs Manchester City, all matches provided from our football streams and game pages.